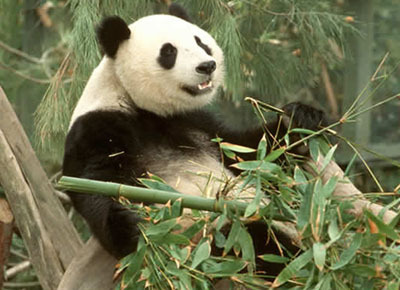 At the San Diego Zoo, you will see some of the world’s rarest wildlife including giant pandas (and Hua Mei, the only panda cub in the U.S.), and koalas. New at the Zoo is Ituri Forest, a mysterious central African rain forest where adventurers encounter forest buffalos, hippos, otters, okapis, colorful birds and acrobatic monkeys. Other unique habitats include Polar Bear Plunge, Tiger River, Gorilla Tropics and Sun Bear Forest. The 100-acre Zoo, one of the area’s most popular attractions, is also a lush botanical garden. Also included in the San Diego Zoo's 4,000 animals representing 800 species are the ever-popular favorites -- lions, tigers, bears, elephants, giraffes, orangutans, zebras and gorillas. Most of the Zoo's inhabitants live in enclosures which resemble the animals' natural homes in the wild. San Diego's ideal climate makes it possible for most of the Zoo’s animals to live outdoors year-round and for visitors to have a pleasant visit no matter what the season. Check the Visitor Information page for prices, hours, directions and more.